Jane Musser, age 83, of Gaithersburg, died Tuesday, November 20, 2018 at Lorien of Mt. Airy, following an extended illness. Born February 11, 1935 in Rockville, she was the daughter of the late Orin W. King Sr. and Ida Howard King. 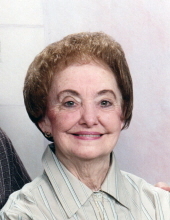 She was the wife of Lawrence H. Musser Sr., her husband of 64 years. Mrs. Musser was a graduate of Gaithersburg High School. She was a hard-working wife and mother working in her family business. She enjoyed bowling in a ten-pin league and going to the beach in Lewes, DE. She was a modest and proper lady and on Fridays enjoyed going to the salon for her hair and nails. She especially enjoyed spending time with her family. Surviving, in addition to her husband, are children, Lawrence Musser Jr. and wife Mary, Gary Musser and wife Anne, Sharon Chambers and Paul Musser and wife Penny; sister, Peggy King; and many grandchildren and great-grandchildren. She was preceded in death by her son, Steven Musser; son-in-law, William Chambers; one sister and three brothers. A Memorial Mass will be celebrated on Thursday, November 29 at 11 a.m. at St. Rose of Lima Catholic Church, 11701 Clopper Rd., Gaithersburg. Fr. Augustine Mateo will be the celebrant. In lieu of flowers, memorial donations may be made to Alzheimer’s Association, 1850 York Rd., Suite D, Towson, MD 21093. To send flowers or a remembrance gift to the family of Jane Musser, please visit our Tribute Store. "Email Address" would like to share the life celebration of Jane Musser. Click on the "link" to go to share a favorite memory or leave a condolence message for the family.